Let’s make creative learning happen! If you enjoy NurtureStore’s resources I would like to invite you become a NurtureStore Supporter. The NurtureStore Supporters are parents, teachers, and educators just like you, who contribute each month to keep NurtureStore running. All the free printables, lesson plans, and activity ideas that NurtureStore makes for you are possible because of the contribution of the Supporters. If you have benefitted from NurtureStore’s resources and enjoyed using them with your children, I invite you to join the NurtureStore Supporters team. As a thank you, you’ll get exclusive workshops, bonus printables, and free copies of selected NurtureStore ebooks, all while supporting other parents and teachers. Let’s work together to keep wonder and delight in education. Click here to become a Supporter. 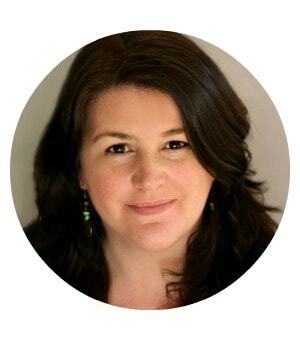 NurtureStore began in 2009 and is the brainchild of me, Cathy James. Having seen how much my own children delighted in learning through creative play and hands-on education, I wanted to share these ideas and resources with others – so all children have access to the best way to learn. I’ve created new materials every month for families, teachers, and educators to use, growing the site so that it’s now read by millions of people. I send out free weekly emails focused on seasonal themes, math, literacy, sensory play, and art to tens of thousands of you each week. Over half a million of you receive my ideas through social media. I am so passionate about NurtureStore and love supporting you as you do the most important job in world – raising our next generation. However, NurtureStore is expensive to run. Each month I need to fund website hosting and pay for the newsletter delivery system. Other expenses are associated with keeping the site secure, photo editing, printable production, getting ideas out to you on social media, and delivering printable downloads – not even counting the time I spend creating all the resources. By supporting NurtureStore with $5 a month you’ll be helping to keep everything running. You’ll be supporting me so I can create more lessons, printables, and workshops – and you’ll receive bonus resources that you can use with your own children. Even more than that, you’ll be supporting children worldwide, in homes and classroom, as they have the opportunity to use NurtureStore’s ideas to make their learning engaging, inspiring, and fun. 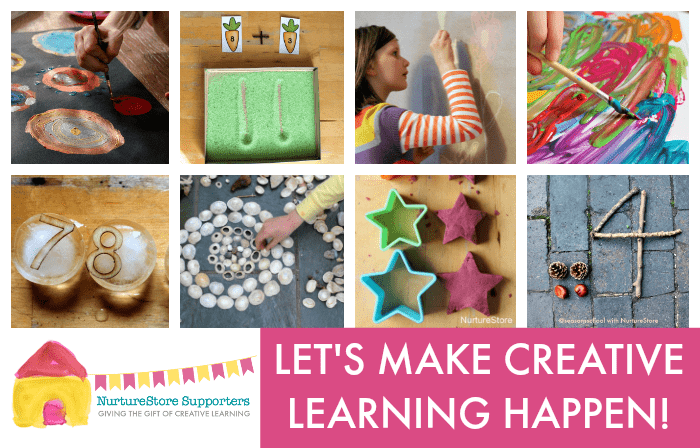 Become a NurtureStore supporter and let’s make creative learning happen! Thank you for supporting NurtureStore, children, parents, and teachers. How much does it cost to be a NurtureStore Supporter? $5 dollars (US) per month. The monthly payment is $5 US. If you are outside the USA, the amount appearing on your bank/credit card statement will be in your local currency based on the exchange rate applicable at the time of the payment. You can easily cancel online at anytime. The minimum subscription period is one month. If I cancel my payment, can I restart it later? Yes. It’s easy to restart your payment online. How long do I have access to the bonus materials? For as long as you have an active $5 per month payment in place you will have access to the bonus materials. If you cancel your payment, you will lose access. All our digital products are subject to copyright and may not be shared or distributed in any way or form. Thank you for the resources, I am a teacher introducing holidays around the world. Join NurtureStore Supporters with a contribution of $5 per month. Cancel or restart online anytime. Your $5 contribution will recur every month unless you cancel.